Solutions for various cleanroom classifications – electronics, biotech, etc. Short lead times. Value pricing. 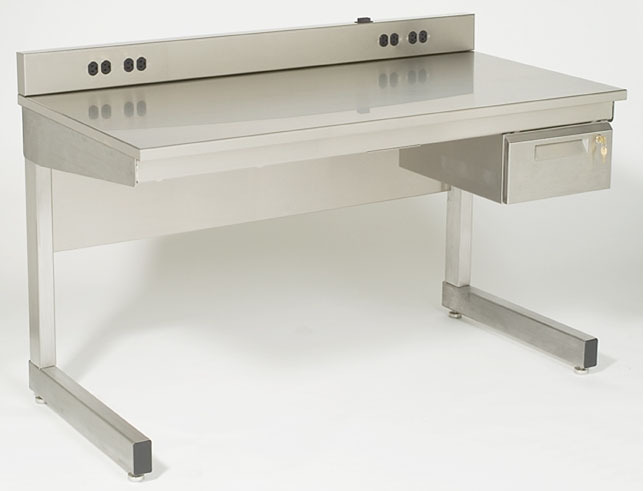 drawers, casters, footrests, keyboard trays, power channels. Contact us for details and specifications. Depths: 24”, 30”, 36”. Also double-sided. Other sizes easily accommodated. Just ask us. #J4LSS3696. 100% stainless steel, H.D. 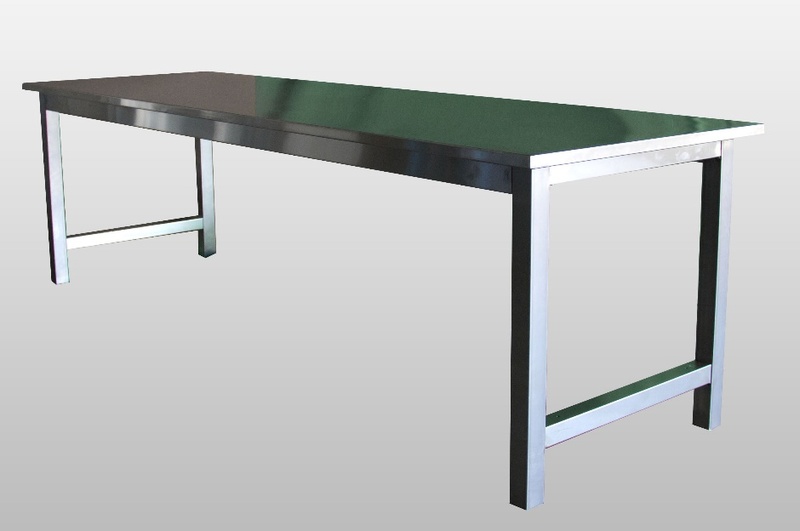 Lab Bench with solid top. Example shown 36”D x 96”W x 36”H. Ships K.D. for easy self assembly and low freight cost. Factory pre-assembly, including welded option is available. #J4LSP Model. Powder coated steel leg frame with #304 SS top over core. Clean seal on underside. 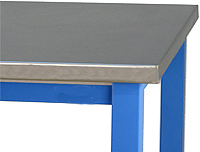 The J4LSS series is our most popular stainless steel lab bench design. Highly robust and attractive, its base frame utilizes sturdy 2”x2” H.D. square tubing for the legs. Load rating is >800 lbs. They’re available in 100% #304 stainless steel for the most stringent environments. (e.g., ‘Class 100’). When the room standards are lower, customers may prefer the budget friendly alternative of a powder cated steel leg/frame with (shown above). 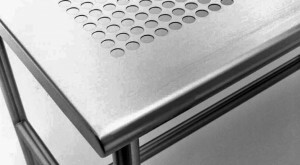 Worksurfaces on these can be 100% stainless steel, or formed over a sturdy ‘core’ (particle board) with an under-seal. Both styles can ship pre-assembled or K.D. for easy self-assembly, which significantly lowers freight cost. JB-E Series. Lighter duty. 1” diameter SS leg frame. Modular. Easy assembly. ‘C’ style (above) or ‘H’-frame base designs.